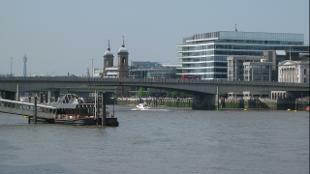 Summer by the River at The Scoop. 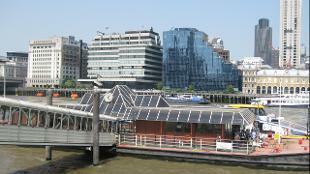 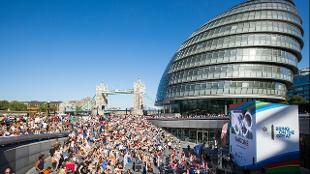 Image courtesy of London Bridge City. 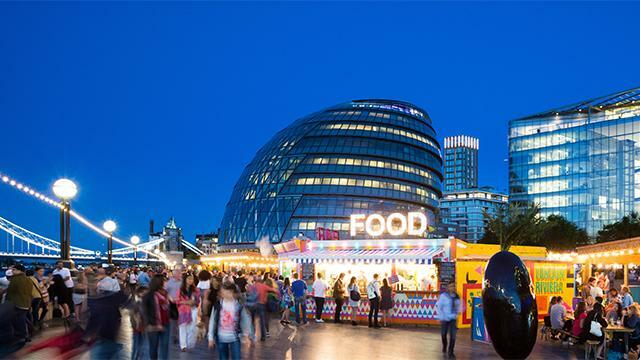 Get involved in a jam-packed programme of events at the Summer by the River festival, which takes place in London Bridge City, between London Bridge and Tower Bridge. 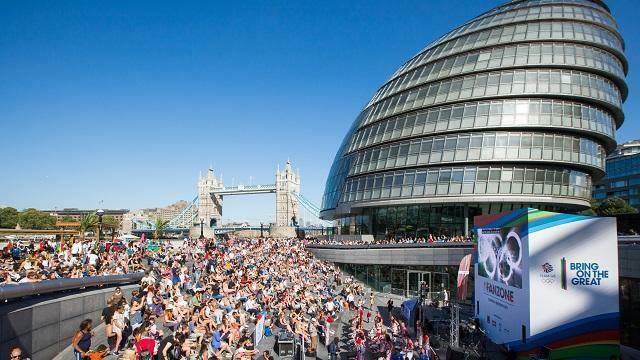 Sit down for a film in the outdoor cinema, cheer on your favourite teams during broadcasts of the summer’s biggest sport events, listen to live music and feast on tasty food and drink. 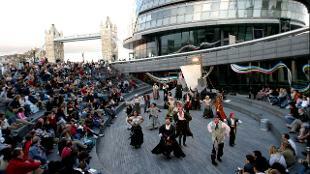 Most events take place at the outdoor amphitheatre, The Scoop, which is set against stunning backdrops of the river Thames and Tower Bridge. 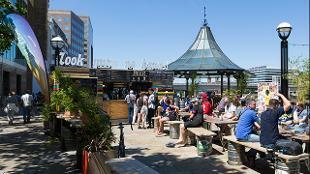 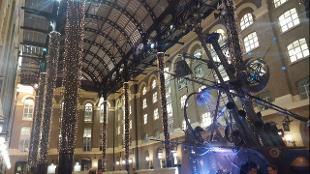 Other events are held at Hay’s Galleria and more locations in the area, which is decked out with an English country garden theme for the 2018 festival. Tuck into street food from some of London’s top vendors at garden-themed pop-ups throughout the festival.